According to the New York Times, the city's current crop of twentysomethings is spending a whole lotta money on fancy foods. And, okay, fine, maybe there's something concerning about their paycheck breakdowns. But you know what? If you're going to drop dough on nice meals, we say go big or go home. With that in mind, here are four pricey meals that may put you at the mercy of the IRS. Zillion Dollar Lobster Frittata Where's It At? Norma's, in New York How Much? $1,000 Though whoever named this egg mountain is a blatant liar, this frittata from Norma's at Le Parker Meridien is no friend to your bank account. 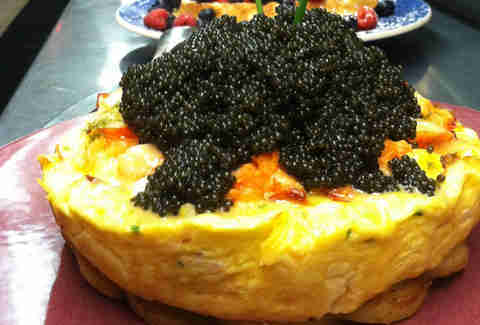 What sets it apart is the 10 oz of caviar and pound of lobster that goes into the standard eggs and fried potatoes. Keep this brunch item in mind when your hangover is feeling extra extravagant. Foie Gras-Kobe-Truffle Cheesesteak Where's It At? Barclay Prime, in Philadelphia How Much? 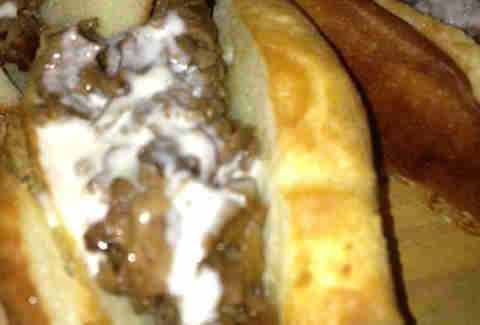 $100 While it's one of the more affordable options on this rundown, this Philly cheesesteak is quite the price leap from Geno's. Instead of whiz, it's got truffles, Taleggio, and foie gras on top of its kobe steak. It may be the same cost as your electric bill, but hey, at least you don't have to yell, "WITH" over a horde of crazy cheesesteak lovers. FleurBurger 5000 Where's It At? Fleur, in Las Vegas How Much? 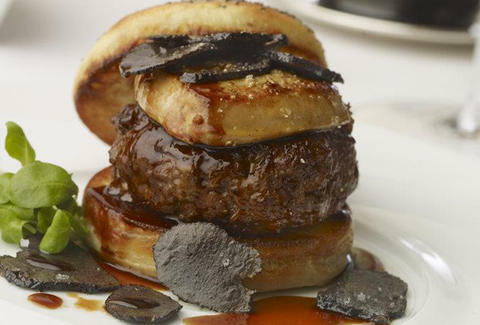 $5,000 This Wagyu beef and foie gras burger with truffle sauce and shaved black truffles will leave your wallet five G's lighter, but your stomach five times snootier. 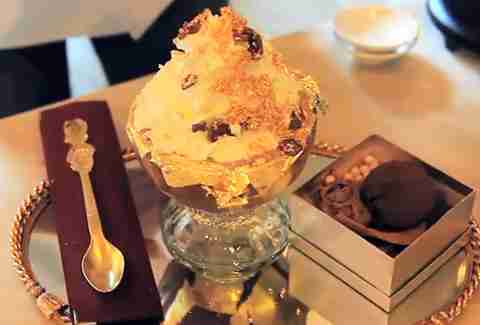 The Frrrozen Haute Chocolate Ice Cream Sundae Where's It At? Serendipity 3, in New York How Much? $25,000 Made with a blend of 28 fine cocoas, the dessert is garnished with five grams of edible, 23-karat gold and the goblet itself is lined with even more edible gold. But they're just getting started. The goblet's base is an 18-karat gold bracelet with one carat of white diamonds, and to consume this thing, you're going to need your diamond-studded, golden spoon, which you can take home with you since you just spent 25 thousand dollars on ice cream.